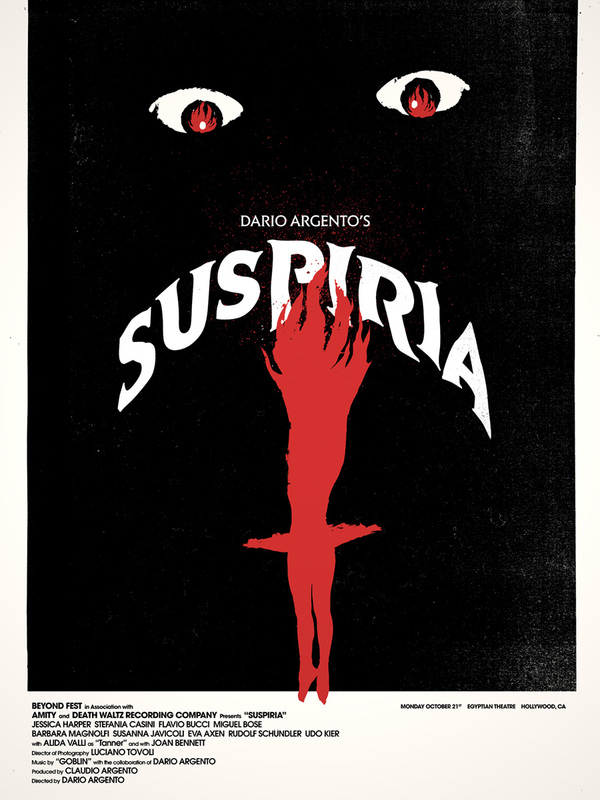 John’s Horror Corner: Suspiria (1977), Dario Argento’s Italian witch movie about an enchanted ballet academy. MY CALL: Dario Argento’s classic witch movie is hardly a witch movie at all… but, wow, the man could cultivate great atmosphere! MORE MOVIES LIKE Suspiria: For more ballerina horror, consider the psychological thriller Black Swan (2010). For more bewitched films, check out the “sidebar” below. 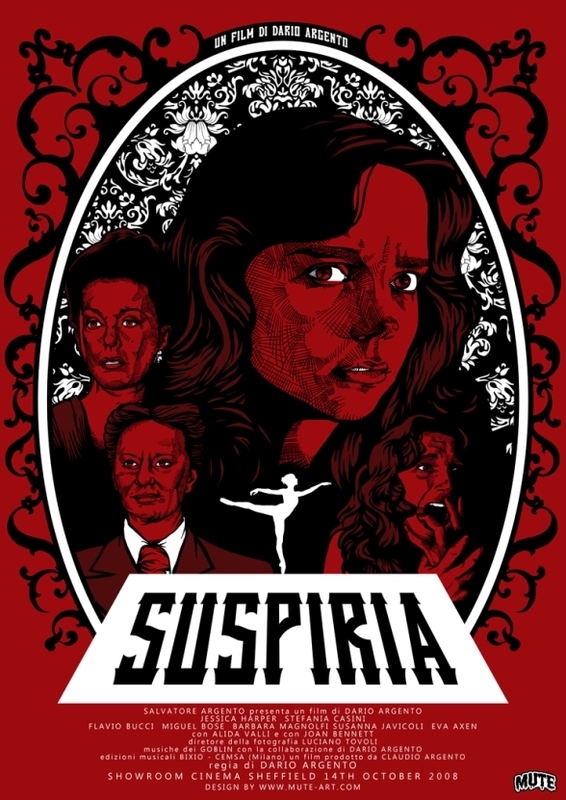 Newcomer ballerina Suzy (Jessica Harper; Suspiria 2018 remake) attends a strict German ballet academy to find that not all is as it seems. Something sinister is afoot, and her roommate (Stefania Casini; Blood for Dracula) is eager to help her solve the mystery. Writer (in part) and director Dario Argento (Mother of Tears, Phenomena) relies tremendously on atmosphere, heavily utilizing greens, blues and reds in the set design, wardrobe and lighting to augment the mood. The sets are gorgeous, the dancers are catty (and also gorgeous) and the characters represent exaggerated stereotypes… although perhaps not so exaggerated for the 70s. The acting may feel a bit rigid, at times, while delivering an often over-explanatory script. But not in a way that affected my enjoyment of the film. With my contemporary eyes, I’m not impressed with the clunky execution of the death scenes. Retractable knives just don’t do it for me and, while quaint, the visual of a victim being stabbed directly in the heart through a hole in her sternum didn’t really nail it either. But Argento had a flare for drama, and the post-mortem shots were appropriately macabre. I was particularly fond of the opening death when the bystander was impaled by large pieces of glass and window framing from the ceiling. However, quite to the contrary, the bewitched murderous dog scene was just okay and I was completely unmoved by the maggot infestation scene. But, again, I’m watching with 2018 eyes, having seen perhaps 1000 horror movies released after 1977. So, there’s that. And when have maggots ever really been done well except for The Lost Boys (1985)? We find ourselves asking a lot of questions like where did all the maggots come from? Where do the instructors go at night? Why is Madame Blanc (Joan Bennett; Dark Shadows) so pushy about where the dancers sleep? Why did it take so long for the killer to jimmie open that lock and why the Hell was that floor filled feet deep with wire coils? Yeah, some questions are weirder than others. Everything builds to a rather anticlimactic, generally unsatisfying and completely unresolved (yet still over-explained) ending featuring no stronger special effects or urgency than earlier in the film. Truly, the film’s greatest assets were the least dramatic: Udo Kier (Blade, Flesh for Frankenstein) making his least melodramatic appearance ever, and Barbara Magnolfi (The Sister of Ursula) as the deliciously catty ballerina. Let’s face it, this sorcerous school is no Hogwarts. Dare I say it, but this beloved classic felt… boring. Yeah, I said it. But honestly, most “classic” horror bores me—like the original Halloween (1978). My enjoyment in these films (and, yes, I do enjoy them despite my criticism) is seeing how tropes were utilized back then, before themes were yet overused; their early iterations that inspired the films to come and the concepts that would be copied, honored, or simply ripped off by their successors. 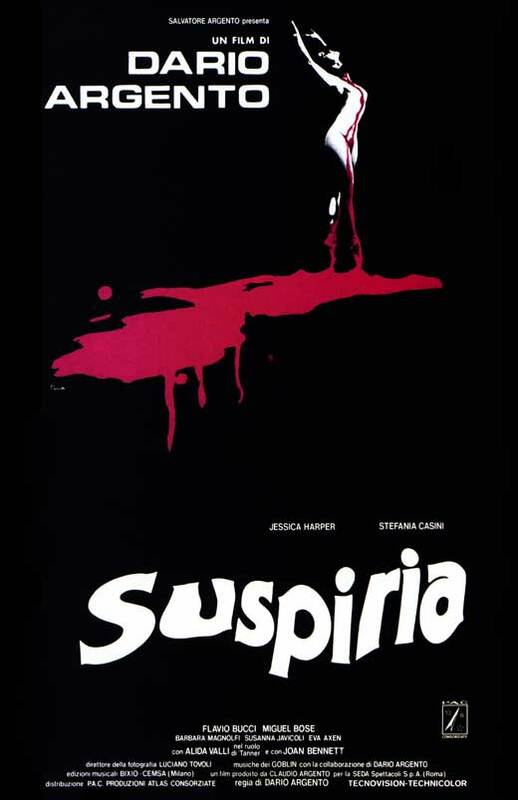 So, for me, watching Suspiria feels like taking a snazzy horror film appreciation class. And, even if boring, I appreciated it for that. Witch Movie SIDEBAR: Some excellent witch movies that actually feel like witch movies include Warlock (1989), Warlock 2: The Armageddon (1993), The Witch (2016; podcast discussion) and The Witches of Eastwick (1987). Beautiful Creatures (2013) and The Woods (2006) may appeal to young adult audiences. But I would sooner direct you to Hocus Pocus (1993), The Witches (1990) and The Craft (1996). I’m leaving Harry Potter out of this discussion, by the way. Fantasy sorcery (Willow, The Sorcerer’s Apprentice) and wizardry (The Lord of the Rings) is to be considered its own thing entirely. The campy The Kiss (1988), Spellbinder (1988), Necromancer (1988), Necropolis (1987) and Cherry Tree (2015) are entertaining but bad. And speaking of campy, Superstition (1982) and The Haunting of Morella (1990) are allegedly witch movies but don’t feel like it. But even if you want a bad movie, definitely skip Witchcraft (1989) and all sequels. The dark noir Lord of Illusions (1995) is intriguingly edgy and, while more a “magic movie” than a “witch movie,” it hits a lot of the same dark arcane notes. And, of course, The Blair Witch Project (1999) and Book of Shadows: Blair Witch 2 (2000) were awesomely stylized in their own unique ways despite never actually showing us a witch—at least, not until Blair Witch (2016). Check out Pumpkinhead (1988) for a great depiction of a witch, though it’s not a “witch movie.” Meanwhile Deadtime Stories (1986) and The Theater Bizarre (2011) features a pretty cool witch short story, and The Pit and the Pendulum (1991) addresses witch trials. Witches can come in so many flavors, can’t they? Lords of Salem (2013) and Mother of Tears (2007) deal with witches’ spirits in the form of dark ritual and possession. Quite the opposite, Snow White and the Huntsman (2012), The Last Witch Hunter (2015; podcast discussion) and Hansel & Gretel: Witch Hunters (2013) offer action and effects-driven popcorn fun—Season of the Witch (2011) attempted this, but failed miserably. But the witch from The Brothers Grimm (2005) was pretty cool.